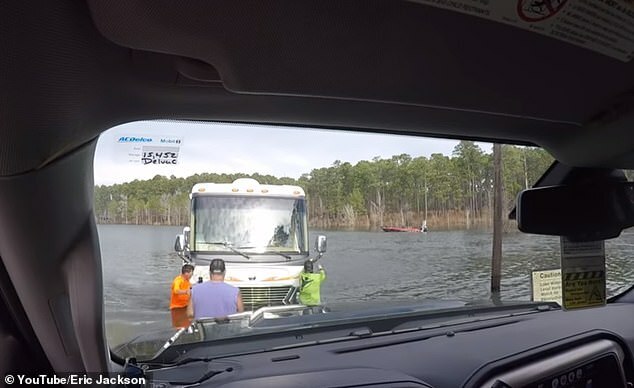 What was supposed to be a pleasant day of fishing turned into thousands of dollars of mess when one man’s dog accidentally sent his RV straight into a lake in Texas. 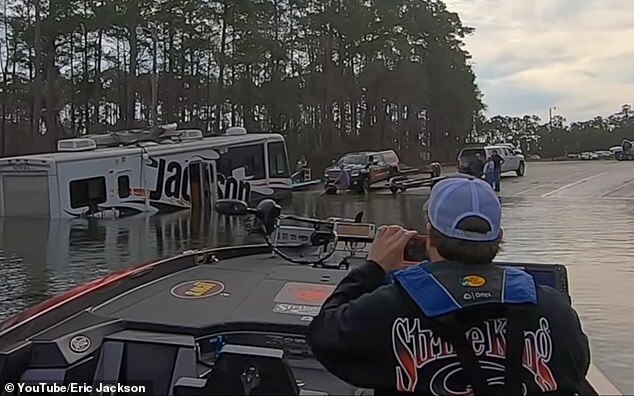 Professional fisher Eric Jackson, 54, had gotten out of his $180,000 RV to get his boat into the water on Monday when it suddenly felt like the entire world was moving. 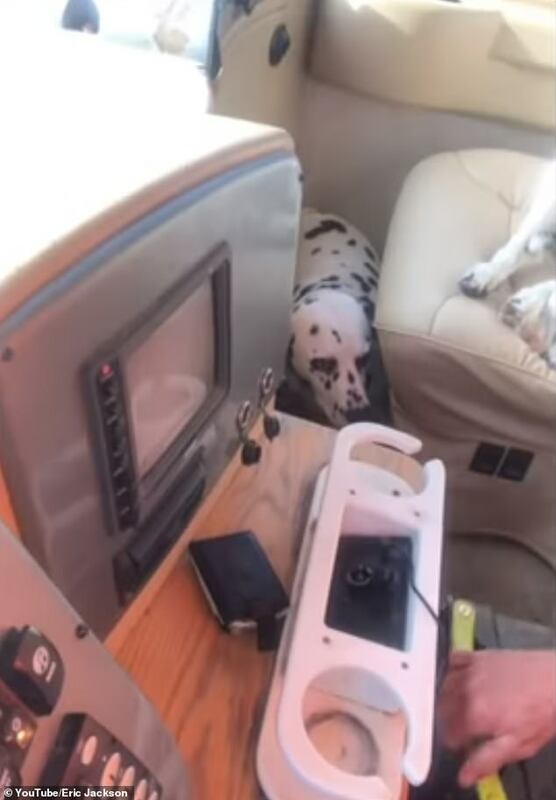 Bodi, Jackson’s two-year-old Dalmatian, had jumped onto the driver’s seat to watch him out of the window. 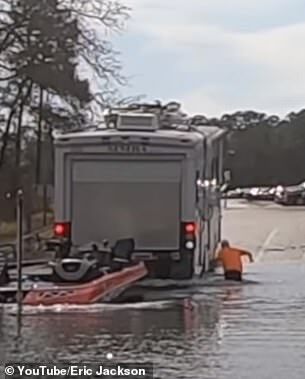 But he accidentally stood on the keypad for the transmission, knocking the 38-foot vehicle into reverse – and right into the water. 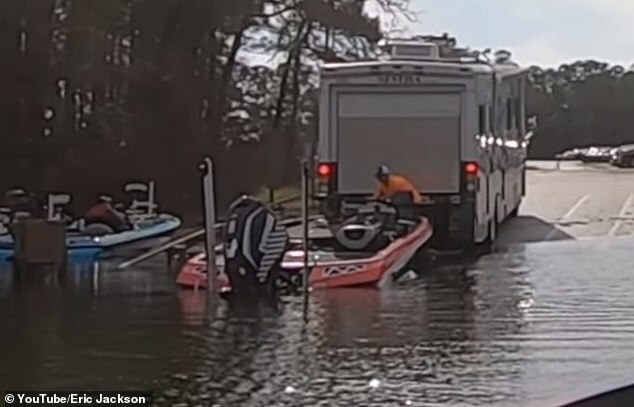 ‘I thought I was passing out, the boat started coming at me,’ Jackson told DailyMail.com. 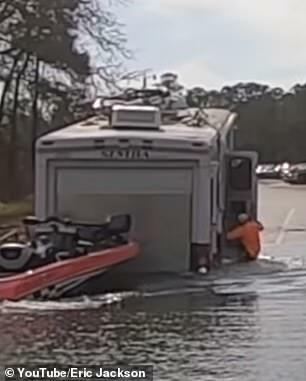 By that point the back wheels of the RV were already floating, and the interior was filled with water. Meanwhile, Bodi had found a new hiding spot under the front passenger seat. ‘Bodi is one of those dogs who, you’ll walk into the house and he’ll look down and sulk around and you know he did something,’ Jackson said. 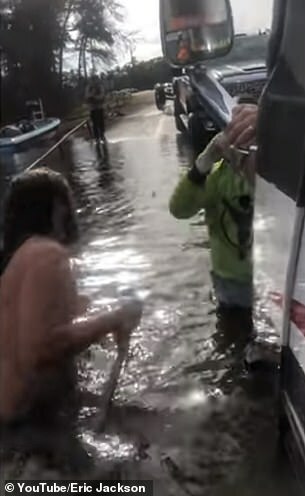 A group of people captured the whole incident on video, and later helped Jackson get the RV out of the water. 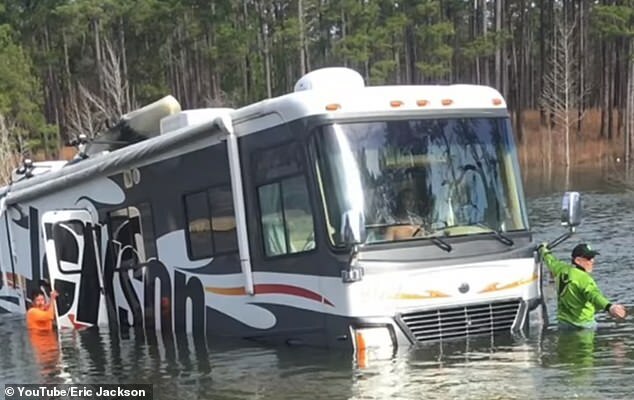 Only 10 minutes had passed by the time the RV was back on dry land, but the damage was done. 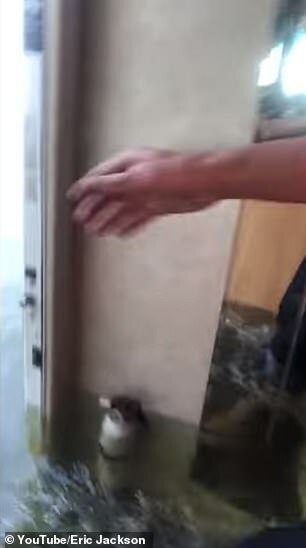 But there wasn’t time for Jackson to stress. 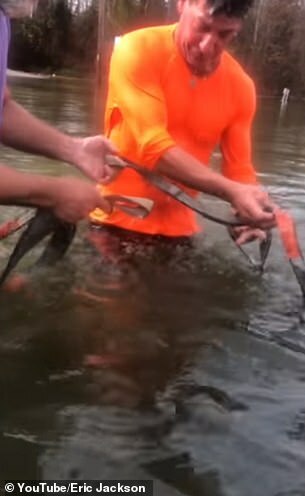 He was supposed to be practicing for the Fishing League Worldwide tour, which took place this weekend. 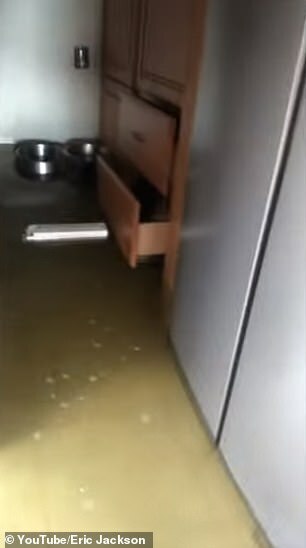 Jackson and his family are now back in Tennessee, forced to leave their second home behind while they wait to hear whether it will survive. 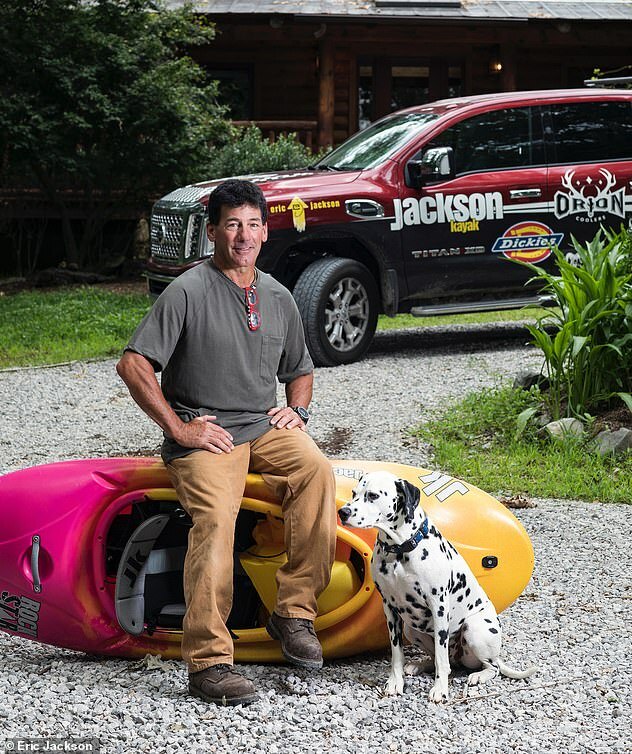 ‘Tomorrow we’ll find out whether we need to get it fixed or totaled, but my guess is they’re gonna total it,’ Jackson said. 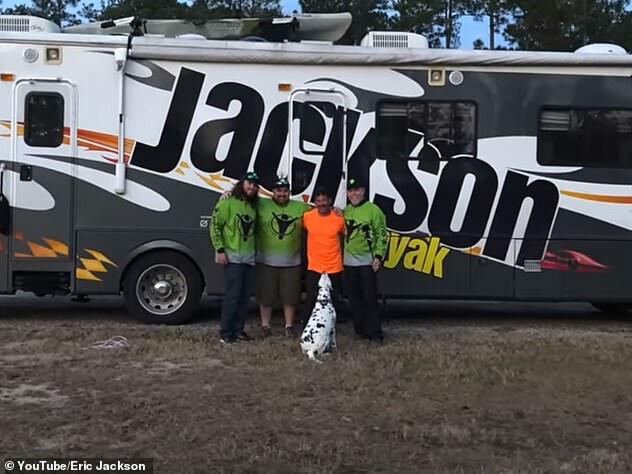 Jackson, who is on the US kayaking team and also a professional bass fisherman, spent nearly 10 years living in an RV full-time, and still spends six months out of every year calling one home. 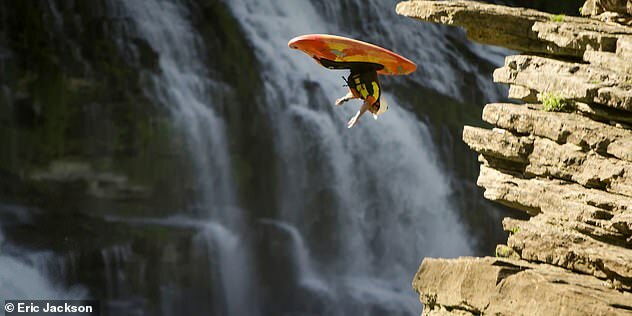 But he has never had anything like this happen. 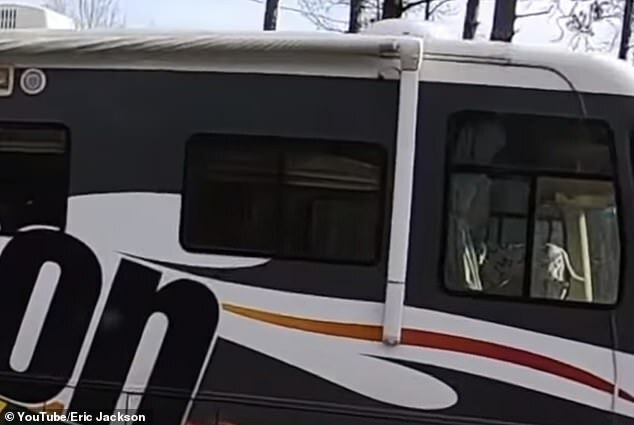 If this RV doesn’t survive, Jackson said there is no question he will replace it. 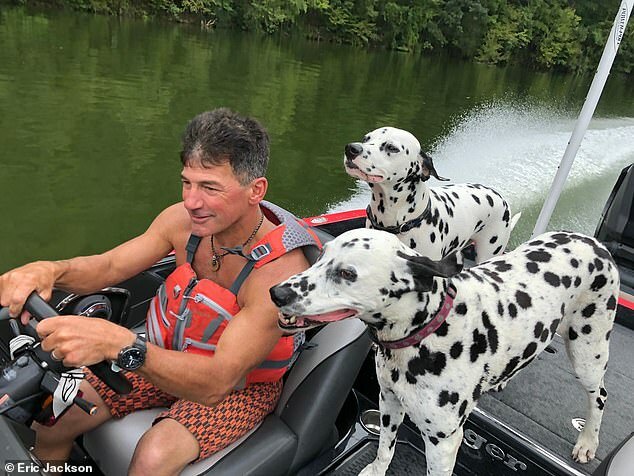 ‘We’ve got a nice log house in Tennesee with 20 acres and an RV, and if someone made me choose between the two I’d go with the RV every time,’ he said. 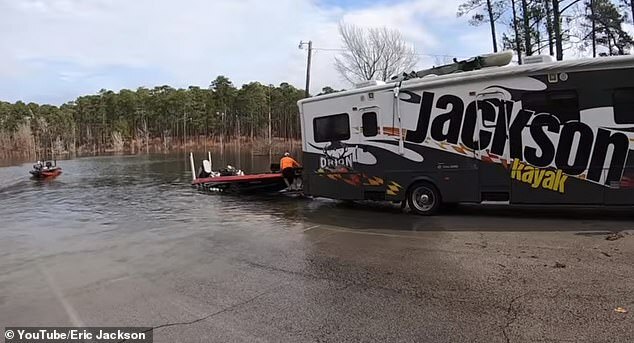 And Jackson and his family are already thinking up ways to make sure Bodi doesn’t send their next RV into the water again. ‘Somebody actually sent us a photo of a similar RV, and they built a cover on the top of the keypad,’ Jackson said.